The hike comes into effect in February, and 24 benefits linked to the minimum wage will also increase by extension. 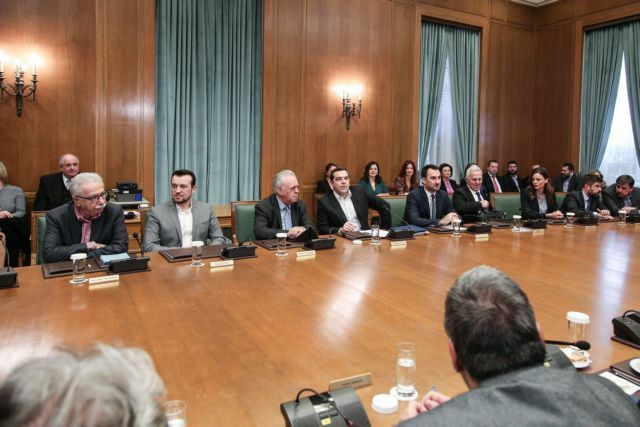 Prime Minister Alexis Tsipras at a cabinet meeting today announced a much-awaited hike in the monthly minimum wage to 650 euros and reiterated that the general election will be held after the end of the government’s term in October. The minimum wage until now has been 586 monthly. For those under the age of 25 there was a sub-minimum wage of 510 euros a month which was abolished today by the cabinet. The hike comes into effect in February. Alternate Social Solidarity Minister Theano Fotiou said that 24 benefits linked to the minimum wage will also be hiked by extension. “This is the first cabinet meeting since the reconfirmation of Parliament’s trust in our government. The aim is for citizens in October, 2019, to be able to compare (this government with previous governments).” Tsipras said. He added that the planned return to the markets this month destroys the narrative of the opposition, which says that the country can still not borrow. • It resolves an historic outstanding issue with our neighbours in North Macedonia. • It marks the passing into a new era of cooperation, solidarity, and friendship in the Balkans. • It defeats nationalism on both sides. It is also a victory for the forces that do not intend to leave the future of the two peoples to the exploiters of patriotism and the merchants of hate. “From the moment we came to power we underlined the crucial importance of wages. After completion of the fiscal adjustment programme and the exit from the memorandum era we now have the capability to enforce specific policies that implement our strategic objectives,” Tsipras said. 1. With the intensive efforts of the Labour Inspection Bureau and with a series of targeted laws the government managed to turn things around and reduce black (undeclared) labour from 20 percent in 2014 to nine percent in 2018, according to the latest labour ministry data. 2. The government has restored a framework for the protection of collective bargaining contracts. 3. The third equal or greater victory is the lowering of unemployment, which went from 27 percent in 2014 to 18.3 percent today, with the creation of 350,000 jobs.